Our floating docks are an ideal choice for any docking situation. With our versatile design, you can create any size or shape of dock to fit your needs. Gulf Stream Docks is a major worldwide supplier of modular floating dock systems and is a leader in providing safe, versatile, and maintenance free docking solutions for boaters, home owners, marinas and commercial operators of all types. We specialize in creating unique docking solutions for virtually any floating platform requirement.Gulf Stream docks are the toughest and most stable floating dock in the industry. For nearly 10 years we have provided superior design and implementation of a wide variety of floating dock projects. Click below to design and obtain a FREE quote for your Gulf Stream Floating Dock using our online dock builder. Our docks are made with the highest grade HDPE material with superior U.V. protection. Floats connect on the sides of the floats rather than in the corners. More connection points mean greater strength. 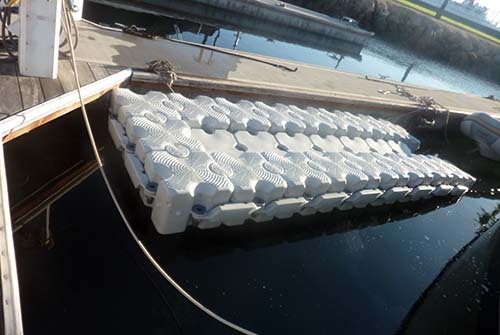 Gulf Stream Dock Float sidewalls are almost double the thickness of comparable dock floats. Stability bars on the outside perimeter of the dock tie the entire dock system together for superior overall rigidity. 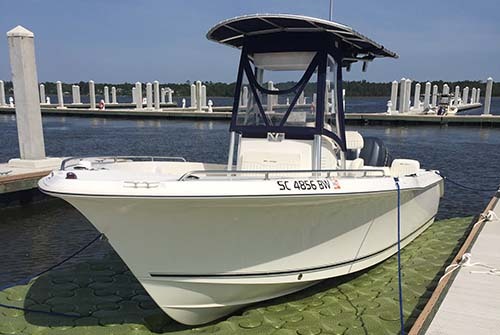 Gulf Stream Docks showcase a 20+ year life expectancy, and a lifetime warranty. Our number 1 goal is to ensure you're thrilled with your boat dock. Experience the Gulf Stream difference today! Need Help Selecting A Boat Dock?